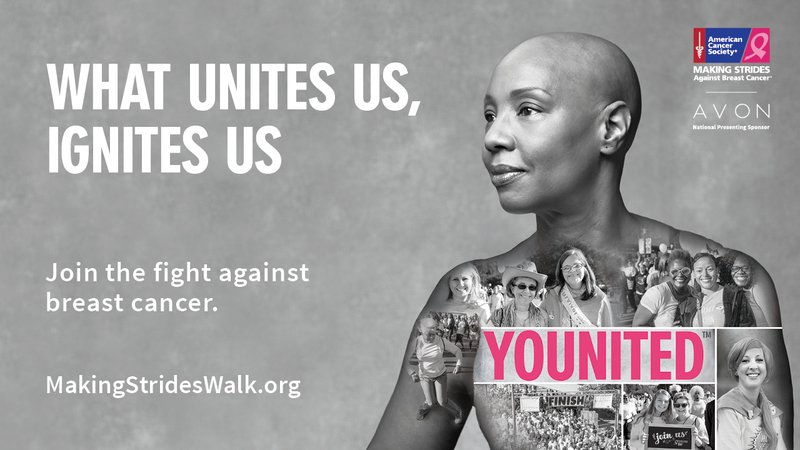 (PRESS RELEASE) -- The American Cancer Society Making Strides Against Breast Cancer Chicago walk will be held at Soldier Field on Saturday morning, Oct. 20, to connect people impacted by the disease and raise awareness and funds. Making Strides Against Breast Cancer is the largest network of breast cancer awareness events in the nation, with more than 1 million passionate participants supporting the noncompetitive three- to five-mile walks each year. "Individuals, families, friends and colleagues, come together to celebrate life, honor loved ones lost, and fuel research, programs and services," said Peter J. Steele, Illinois Executive Director of the American Cancer Society. "The funds raised allow us to be there at every phase, from research to education, prevention to diagnosis, and treatment to recovery." The American Cancer Society, the largest private, nonprofit funder of cancer research, currently has $61 million invested in 155 breast cancer research and training grants. The Oct. 20 Soldier Field event, one of 11 Making Strides events in Illinois and one of 200 in the U.S. this year, will be emceed by Roz Varon, ABC 7 Chicago Traffic/Transportation Anchor and a breast cancer survivor. Advance, online is recommended at http://makingstrideswalk.org/chicagoil. Onsite registration for the Chicago walk opens at 8 a.m. Opening ceremony begins at 9 a.m., and step-off is at 10 a.m.